Learning is a family affair at the Cre8ive zone. 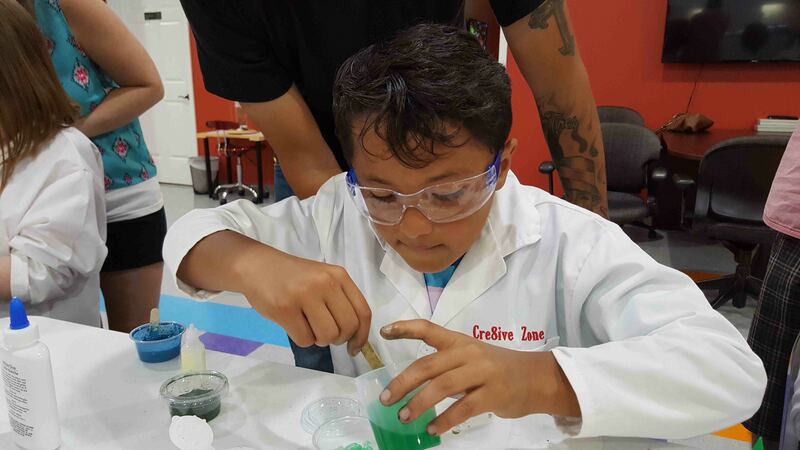 Whether you are crazy about Chemistry or captivated with Computer technology, you will find something you are interested in at the Cre8ive zone. Bring the whole family to experience interesting hands-on activities. No appointment is required for open lab. Select ONE hands-on science activities from our menu of experiments. Also, learn how to write reports just like scientists. Summer Open Lab days/hours may vary. Please visit our website or call the Cre8ive Zone for more information.